Backpacks 101 sounds like the first course in a series, doesn't it? Backpack tips you can use to buy the best hiking backpacks on line, or in a sporting goods store near you, without drama or headaches. Good backpacks don't just fall out of trees and hit you in the head (and thank goodness for that - OUCH). You want not only a good backpack, but the best backpack for comfortable day hiking. How will that happen? And you want to know how big of a backpack you need for enlarging your hiking ambitions. Don't wimp out and buy the pack that fits your backpack buddy. Not if you're really serious about a great fit and quality performance, season after season, in any weather. Invest in your good outcome! And if you're looking for a reliable backpacking backpack for a multiday trip? You need to do even more comparison shopping, because the price for this pack will be higher, and you'll be using it a long, long time. True story: I'm still using a pack I bought 10 years ago! It lasted that long because I really did my homework and bought a quality piece of gear. If you invest in performance clothing pieces and footwear for your daily wardrobe, you'll know what I mean. So let's get started on a strategy for hunting down your perfect backpack. Backpack manufacturers pride themselves on little twists and improvements on basic designs, making their product line into unique backpacks with deep brand loyalty. If you ask a Deuter pack devotee and an Osprey user to compare notes, they'll agree on most things. But will be fiercely protective of what makes one pack stand out above all others. But here's the secret: a backpack design needs to accomplish the same short list of objectives, regardless of who makes it! So where to start looking?? 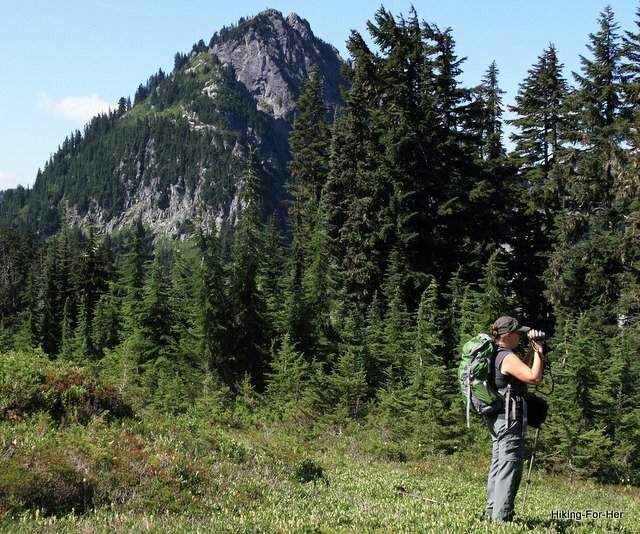 Go here for an overview of what I consider best choices for daypacks and backpacking packs. And read this if you want to cruise your possibilities for scoring the best pack on sale. Curious about your choices in backpack manufacturers? Backpack manufacturers and outdoor gear companies are all competing for your business, so it's no surprise that the best backpacks share a core set of features widely known to be important to hikers. That's why at first glance, all backpacks might look alike. And the obvious stuff, like color and logos, of course. I'm actually wearing two packs here: a large woman's daypack, and a photography pack. Both are waterproof packs. 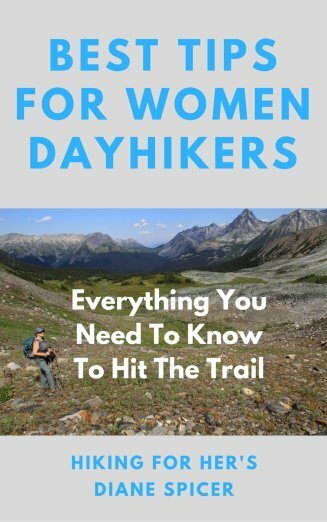 If you're planning on a lot of day hiking, these specific tips are what you need before you buy. 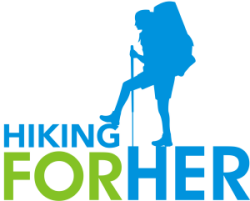 Detailed tips on how to choose a backpacking backpack are covered here. 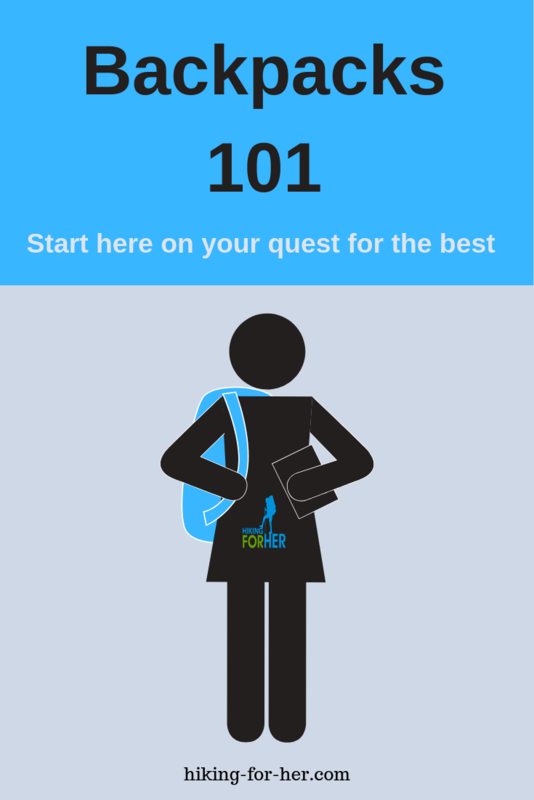 Here, we'll cover general Backpacks 101 tips for anyone searching for the best backpack. If you implement them, you'll know exactly which pack, waiting for you among all of the hiking packs in the backpack store, is perfect for your unique hiking plans. There are 4 big tips for you. Decide whether quality or price is most important to you. There are plenty of cheap backpacks you can get at least one season out of, and that's a fact. But if you're going to be in this hiking thing for the long haul (small backpacking joke) you should buy the highest quality pack possible. It will provide more comfort on the trail, and be less of a financial drain on your hiking budget over time. If you're just starting out as a hiker, don't even look at customized and ultralight backpacks. They have a mind numbing array of custom features and they literally fit you like a glove, but they are murderously expensive. You need a basic pack to start with, and can work your way up to one of these customized beauties over time. It's easy to fall victim to “buyer's fatigue” unless you do your homework ahead of time, using these backpack buying tips. Go to the store (virtual or real) armed with a short list of packs to try on: brand, size (in liters), and the exact model you want to try on. Arrange your schedule so you have plenty of time. You don't want to rush to judgement. Never trap yourself into the “gotta have it today” corner. If you have a backpacking trip coming up in a few months, start right now to create that short list. You don't want to get stuck buying a less than ideal pack because you ran out of time. There are lots of differences in a generic, basic hiking backpack, depending upon who wears it and what (s)he does in it! And now you know how to go about finding the ideal backpack. Click on the type of pack to get all of the details you need to know before you purchase one. Once you purchase your pack, you might need these tips on how to pack a backpack. And keep it organized with segmented stuff sacks. You've graduated to Advanced Backpacks 101. Feel free to use this CONTACT ME link to send your questions about how to buy packs. Or when you're debating between two particular brands or models. I'd love to help you find the perfect pack! Because your happy trail time is worth investing in, don't you agree?